Vin spent many years working for the BBC in London as a news editor and programme organiser. He took early retirement at 50 to start making his jewellery. Everything Vin makes is totally from scratch and he often makes the equipment to make the jewellery too. A woven bracelet can take over 5 hours to make. Vin has named his particular weave ‘Brigante’ after the celtic tribe in North Yorkshire. Most of Vin’s jewellery is based on Roman or Celtic designs. 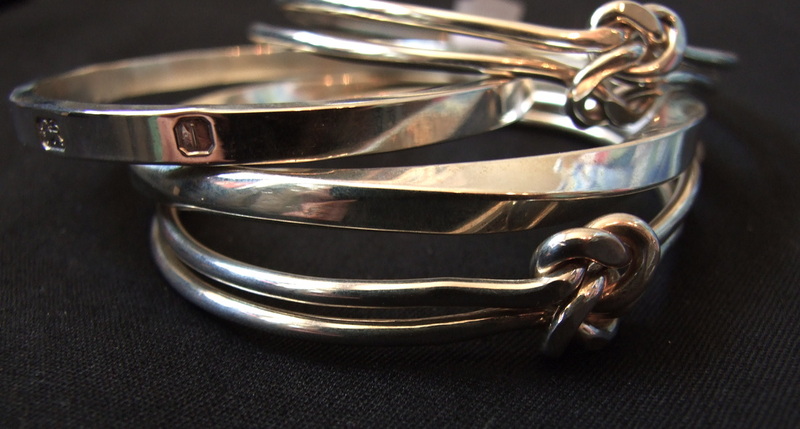 Although The Gallery mainly displays his silver work Vin also works in gold and platinum. He considers that his celtic weave wedding rings are a particular speciality. The Gallery is the sole outlet for Vin's work, please come in to view a wide range or contact us to discuss commissions. Prices from £30 - £600.